8 Tempting benefits of house sitting - we're fulltime house sitters & love it! We justifiably can call ourselves very experienced house & pet sitters now. We did 17 sits, and took care of 18 cats, 10 dogs, 8 horses, 6 rabbits, and much more pets since our start as pet sitting virgins. And we are absolutely not done yet. House sitting has got so many benefits to offer! 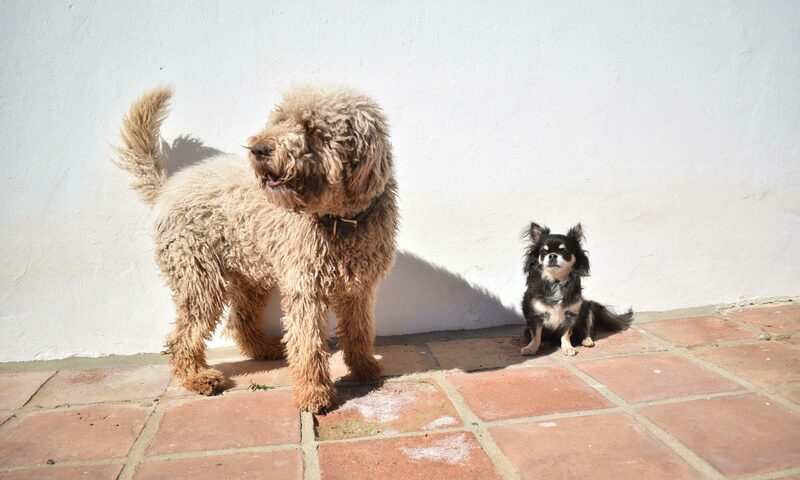 In this blog I like to tell you a little bit more about how a house sitting lifestyle is like, how we started, and what the benefits of house sitting are. Our first pet sitting experience was years ago in 2013 for a week in Amsterdam. We took care of cat Sien. Back then we only didn’t realize we were ‘house sitting’. We just loved to change scenery for a week. Instead of driving to our clients all around the Netherlands from our home town Amersfoort we departed from Amsterdam. Cat Sien was on our laps and we got to explore gorgeous Amsterdam. Talking about benefits of house sitting..
Our longest pet sit assignment was for nine (!) months. Again in Amsterdam. We rented an apartment from a girl that was going to travel in Australia. And that apartment came with two huge hairy cats. We really got hooked on a house sitting lifestyle when we returned from Central America after a round the world trip of almost 2 years. We loved it from the start but with 17 house sits in our pockets we even see more benefits. Here are 8 benefits of house sitting in a row. When we house sit somewhere, we sort of become the owners. And I don’t mean this in a creepy way. We are not dressing up in the owners clothes. But we give extra attention to what is important to the owners. At one house sit that was locking the doors extra carefully against burglars, and somewhere else it meant being extra economic with water usage or extra cuddle sessions with the dog. 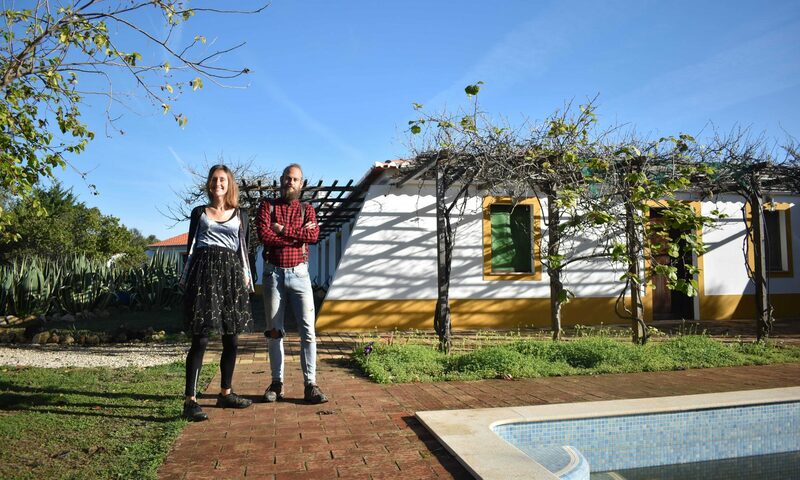 Whilst house sitting, we experience what the neighbourhood and the city is like, we can compare living in nature or in the city, we experience the differences between for example living in Portugal or Spain. It gives input to the question do we like a house built in the 30’s (the kind of houses in the Netherland where all our friends and the rest of the country are aiming for) or do we prefer a cute small apartment? If living in the nature; do we prefer beach or forest and mountains? No pets, one pet, or a bunch of pets: there are advantages and disadvantages to all scenarios. In short, house sitting helps us discovering which style of living suits us best. On average, I would say we live somewhere for three or four weeks. That means we get to live in 12 different places EACH year. For me, the most magical moment is the moment of arrival. Somewhere I have never been before. I am so curious and finally I get to see it. So that magical awesome moment takes place at least 12 times a year!! Getting to know the pets, house and kitchen (where do I find the plates this time?) is an exploration on it’s own. Let alone discovering the area. There is always something nice. Yesterday we have been to a beautiful quiet lake close by. In Hamburg the best (and cheapest in West Europe probably) Indian restaurant in town was just in the basement of the five floor building where we were temporarily living. In Amsterdam I took care of a Cannabis plant (legal in the Netherlands) for the first time of my life. In Portugal we saw a huge whale close to the coast line when we were relaxing on a beach close to our house sit. I can go on endlessly here. I love the surprises all different house sits have got to offer me! They are always there. I love animals in general. The behavior of animals makes me laugh. All animals are different and have their own character. It takes a short time or a little longer to get to know the pet, as with people. With some pets it takes a little longer to connect. But then the connection can be extra strong. They all are individuals, no cat or dog or.. is the same. We live a free lifestyle now. This year we are in Europa, but there is a big chance we fly overseas next year. And we like to be very flexible and to be able to grab opportunities that come our way. Having our own pet doesn’t really fit in this free lifestyle. But because we are allowed to take care of all those lovely animals I don’t miss having an own pet. The memory of all those pets we took care of are somewhere in me and very often I recall them with a smile. I bond with the animals in the period we are sitting them (otherwise we couldn’t be good pet sitters I believe) but I am also able to leave and continue our journey when the sits ends without a too heavy heart. 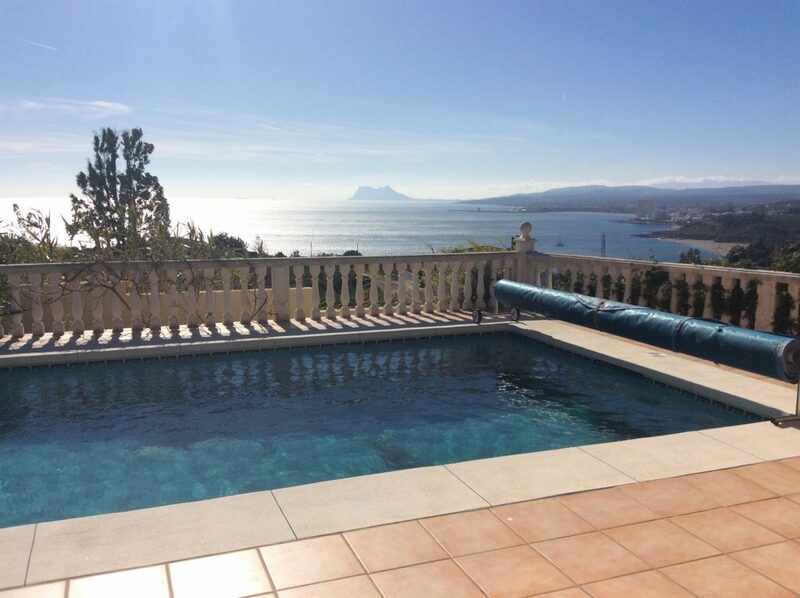 Look at this gorgeous view – the mountain you see is Gibraltar – do I need to say more? Because I probably never will own a house at the coast in Spain, an apartment in Amsterdam, a renovated farm at the Dutch countryside and a sea cottage in Mexico at the same time. Or one of those houses at all. I probably would never rent those houses for a holiday either. But thanks to house sitting I have the honor to live in those beautiful houses at those special places for a while anyway. And that is cool! You don’t have to own something to experience something. 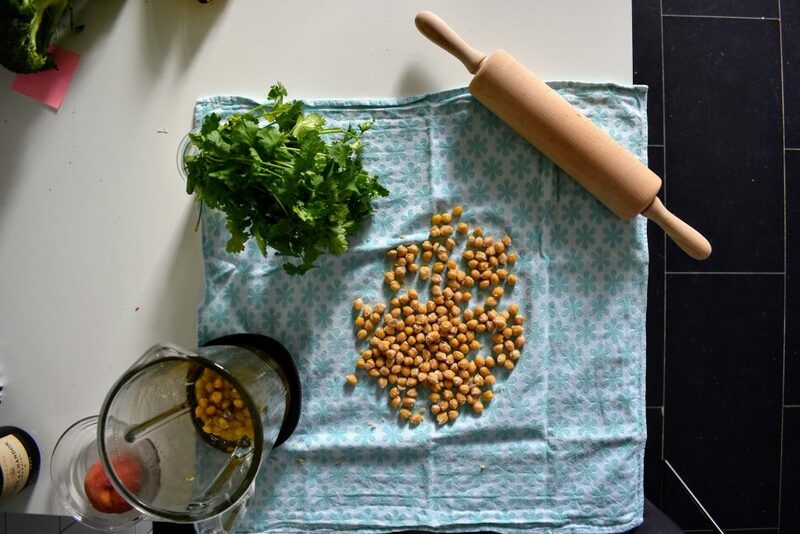 Making fresh hummus (preferably with fresh coriander) is something we do everywhere – doesn’t matter where we house sit! When JD and I house sit somewhere, our life is not very different from your life I guess. Nor very different compared to the life we would have lived when we would have stayed in the Netherlands in our consultancy jobs. Most days, we work online. We have breakfast (in the sun if we can). Next we cuddle with the dogs or cats. We cook, we shop for groceries and I do yoga. You will have a picture by now. But on the other hand, living this way feels so free and adventurous. As soon as I shut down my laptop for the day I am in a different world. I walk for five minutes to the Mediterranean sea or I go to the horses to feed and cuddle them. I can do everything I can in an always different and inspiring surrounding. House sitting combines two best things: cozy living with fixed routines and adventure in great context. That is a huge advantage of house sitting. When you house sit you live for free in the house for the period that the owners are away. Including use of water, heating, electricity and gas for cooking. Most often for sits located outside the cities, owners also make a car available. I have heard about long term sits in which sitters pay for utilities but that doesn’t happen often. So when you don’t have costs for living your only other expenses for essentials are for food, transport and insurance. So that makes house sitting a very economic way of living. Of course, when you have monthly fixed costs for the mortgage or rent of your own house, this whole story doesn’t apply to your situation. But still; it is free holiday accommodation in a different way you are used too. Don’t forget to go through the checklist to become a perfect house sitter in 13 steps. The home owners you are going to meet are a certain selection of the whole population. First – this applies to most of them – they have pets and they love their pets. Second, their are willing to trust a stranger to take the responsibility for a few of the most precious things they have in life. Sounds like loving and open people isn’t it? Personally I love the whole concept of house sitting and the house sitting community. In times that everything is about making money, this is a very I would say ‘cute movement’. It is a great win-win for both parties. The pets can stay in their familiar surroundings and the owners are away – most often they are away to enjoy their holiday – with peace of mind. The sitter likes to live in the place with nice animals. The cooperation can be a zero-sum game or the sitters receive a modest compensation for their work and potential travel expenses. I think in general the persons involved are open to get to know each other and rely on each other. Since the cooperation is so informal it is mainly about trust and having a good feeling about each other. So far we have met many nice persons on our house sitting way, and with several of them we are still in touch every now and then. With a big possibility we are going to sit at their place again in the future. House sitting is also a nice way to meet people out of your own ‘bubble’ and to meet persons who made the step to move abroad and build a life there. It makes me richer to hear all those stories and meet all those people with different backgrounds. All the way writing this blog the title was ‘7 benefits of house sitting’. But when I almost got to benefit #7 I realized I forgot one very big important benefit of house sitting. And that is the sun!! We are from the Netherlands, and you probably know it rains a lot in this country. And the winters are loooongggg. Thanks to house sitting we live where the sun nicely shines. Although we do make exceptions. This year we were in the Netherlands in March for the wedding of good friends. And we will be back around Christmas this year. But my point is. House sitting enables you to pick the climate you like. And I like the sun and not wearing jackets! So, did I inspire you? Convince you? Strengthen your opinion about house sitting? Did you learn something new? I hope so. Please let me know in the comments what your personal benefits of house sitting are. I would love to hear! And do you like our writing? Don’t forget to subscribe to our newsletter (and receive a nice welcome gift as well). Subscribe today and get our ebook – Save money on your next trip – delivered to your inbox for free. Previous PostPrevious What do I do with my life when there is no wifi?! Next PostNext Mongolia horse trek adventure. This is my story of breaking my back and throwing with goats in Central Mongolia. Subscribe to our newsletter. Benefit from our struggles! 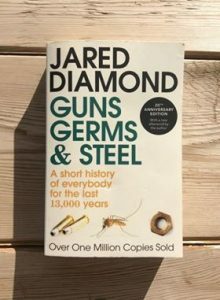 And get our free ebook. Subscribe to our newsletter. Benefit from our struggles. And get our welcome gift for free. This gift makes you easily save 300 USD on your next trip. ​The Ultimate Travel Cheat Sheet straight away.